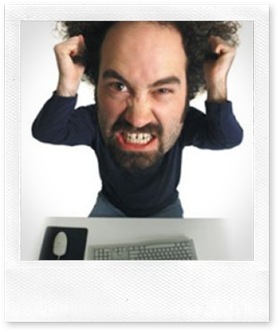 What happen when You Are Unhappy with Poor Customer Service? Do you Just curse the Customer Service staff? You can definitely do More than that! US bank customer Dalton Chiscolm could learn on Friday if he is one step closer to becoming the world’s first ever billion-trillionaire and achieve Financial Freedom. 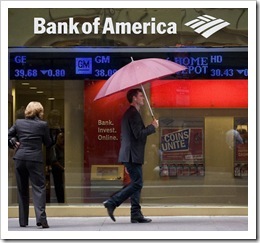 He is unhappy about Bank of America’s customer service — really, really unhappy. If he win the sued then Bank Of America may need another bailout! The suit was reviewed by Judge Denny Chin. She is the same judge that who sentenced Bernard Madoff to a 150-year prison sentence. Judge Denny Chin has called the lawsuit “incomprehensible” and demanded that Chiscolm explain his claims, and elaborate on charges that he received “inconsistent information from a ‘Spanish woman” reached by phone at the bank. Kudos to Dalton Chiscolm for fighting for the Right , even if it is a ridiculous suit! Do You Know How Much is $1,784 BILLION TRILLION Exactly? Dr Kevin Houston helps break down exactly how much Dalton Chiscolm is asking Bank of America to pay him for poor customer service. His demands will need a really rich person. Bill Gates fits that bill, in 2008 he was worth over $50bn. But even Bill Gates’s pockets aren’t deep enough. What if everyone on Earth, all 6.8bn of us, were as rich as Bill Gates? Not enough. That super-rich planet would be worth only $340 million trillion. What if we had 1,000 planets full of Bill Gateses? Still not enough to pay the bill, because 1,000 Bill Gates Earths adds up to only $340 billion trillion. It would in fact take 5,247 super-rich, Bill Gates-filled planets to just barely cover Mr Chiscolm’s demand for $1,784 billion trillion. US bank customer Dalton Chiscolm could learn on Friday if he is one step closer to becoming the world’s first ever billion-trillionaire. Mr Chiscolm sued Bank of America in Manhattan’s federal court in August for “$1,784 billion trillion”, in a complaint that boiled down to poor customer service. But US District Judge Denny Chin asked Mr Chiscolm to provide further evidence to support his claims by 23 October, or find them dismissed. Judge Chin is familiar with large sums of money, having just sentenced financier Bernard Madoff to a 150-year prison term. But Madoff’s $65bn (£40bn) Ponzi scheme pales in comparison to the amount Mr Chiscolm expects from the bank. Judge Chin called the complaint “incomprehensible”, in an order released in court. The actual number, 1,784 billion trillion, is equal to 1.784 multiplied by 10 to the 24th power, or 1,784 followed by 21 zeroes. Using the International System of Units, this number is called a Yotta. Which is how much exactly? “The Sun has the power of a Yotta microwave ovens,” says Chris Budd, Professor of Applied Mathematics at the University of Bath, by way of explanation. This unfathomable number is used mainly by scientists to measure the very small or the very large, said Dr Kevin Houston, senior lecturer at the the School of Mathematics at the University of Leeds. But people are not meant to actually comprehend a number this size. “I don’t think the human brain is set to deal with those numbers,” he said. The specificity of Mr Chiscolm’s requested amount – $1,784 billion trillion – is even more curious. Following up Dr Houston’s suggestion, we found a few events in 1784 that could offer insight into the inspiration behind the number. Is Mr Chiscolm an American nationalist? On 14 January, the American Revolutionary War ended and Congress ratified the Treaty of Paris. Or perhaps he is a classical music aficionado, for Mozart’s Sonata in B flat, K454, premiered in Vienna on 29 April. Maybe he is a newspaper fan, because America’s first daily newspaper, Penns Packet and General Advertiser, was published on 21 September. Regardless of the reasoning, the monetary amount is beyond financial recognition. Getting the claim approved by the judge may be one hurdle for this disgruntled customer. But finding the money if he won the suit would be quite another. This entry was posted on Monday, October 26th, 2009 at 12:32 am	and is filed under Advertisement. You can follow any responses to this entry through the RSS 2.0 feed. Both comments and pings are currently closed.